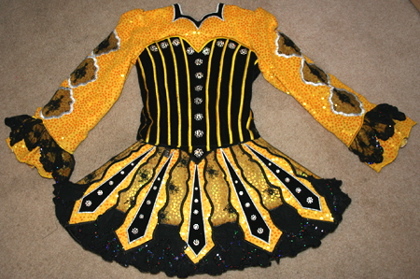 Black velvet bodice w/yellow embroidered stripes and crystal cluster buttons. 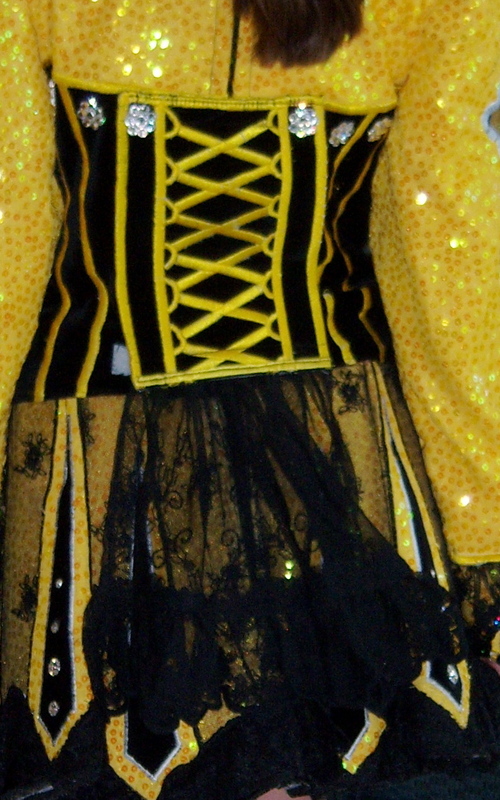 One of a kind yellow glitter dot w/lace overlays and ruffle on sleeves. Unique corset style cape w/black lace ruffle. 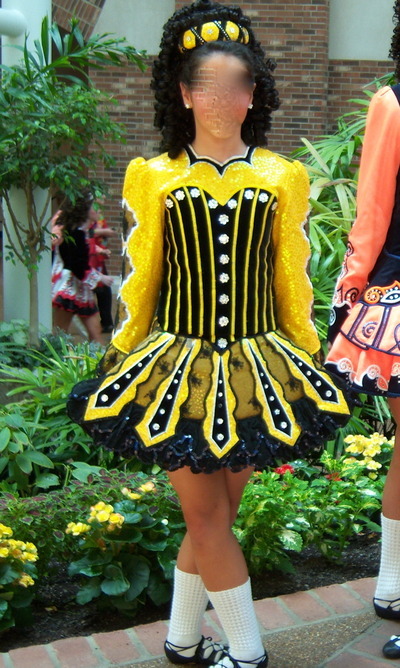 Drop waist, one piece, 5 panel skirt w/sequin edged ruffle underskirt and inverted back pleats. White underskirt. Includes two headpieces. 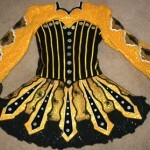 Dress was worn by top Australian, Worlds, and NANs placers. 2nd owner. Some embroidery fraying and a few stones may be missing but only noticeable up close. Dress still has great stage presence. This is let out in sides and waist.